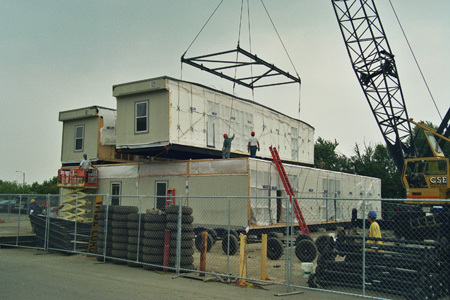 Modular Building Removal & Relocation in New England | Pope Industries, Inc.
As an owner of a relocatable modular building, you may desire to have your building moved from one site to another. Call us. We can disconnect the utilities, remove the modular building, install new foundation and re-install the modular building on another site for you working closely with you the entire time. We will hire licensed professional architects or engineers as required. Removal operations include disassembly, weatherproofing, transportation, and reassembly on a new foundation at a new location.